Caicos Express Airways operates a fleet of Piper, Cessna and Beechcraft aircraft. Caicos Express is one of the two (the other being interCaribbean Airways) airlines based in the Turks and Caicos. Scheduled flights are offered to many of the main islands in the Turks and Caicos and to Haiti, and charter flights are also available to several other Caribbean countries. 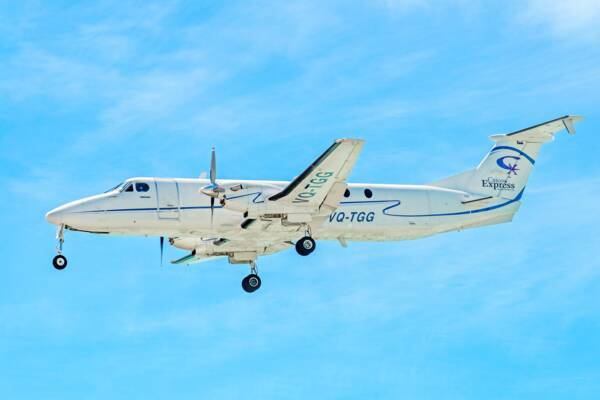 Caicos Express has a small fleet of piston and turbo-prop twin engine aircraft. The current line-up includes a Beechcraft Be-1900, Cessna 402, and a Piper Aztec. A Caicos Express Cessna 402 on the tarmac at the Salt Cay Airport.